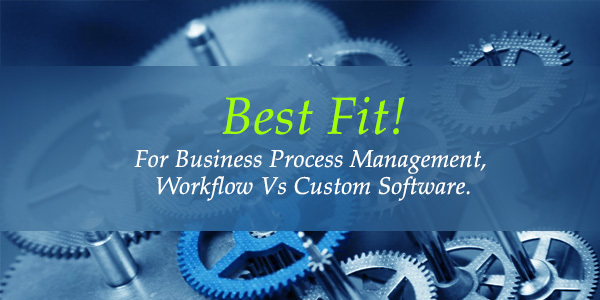 Often there is confusion while understanding the applications of Workflow product and Customised Software solution in Business Process Management system.Business Processes are basically collection of activities cutting across various departments, producing a valuable output for the customers (e.g Sales or Procurement Process). Workflow is used to automate these repetitive activities and hence business processes. So workflow will bring automation and efficiency to the business process.There are handful of Workflow Systems available in the market. 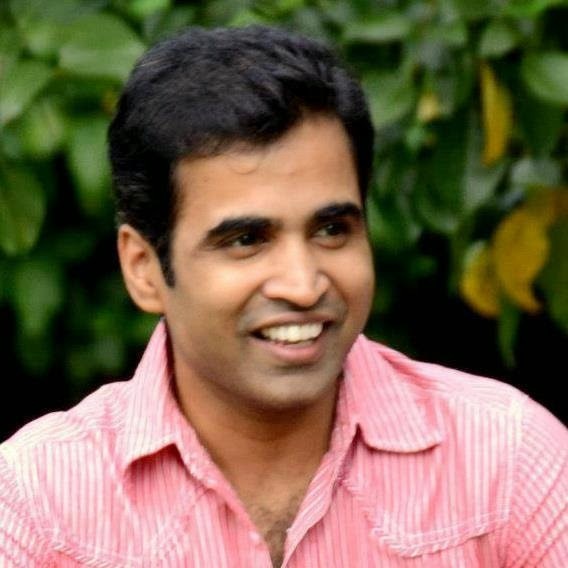 So why then organisations still go for Customised Software Solutions? To answer this we need to clearly understand the Business Process Automation. BPA is basically the automation of complex business processes and functions beyond conventional data manipulation and record-keeping activities, usually through the use of advanced technologies. i) Part of the BPA life-cycle is Business Process Modelling and that it can be done in different levels of abstraction. ii) When we model the business process in the most detailed level (execution level), then we have a workflow. iii) The execution means ”precise business process descriptions are used to guide the performance of business activities”. By Large we can say that a workflow is just a sequence of activities performed to produce an output whereas the Business Process is a sequence of activities performed to produce value. While the off the shelf workflow products are good at creating output its the values the business process is concenred with. Also the according to the execution definition mentioned in the statement, performance of business avitivites are vital and hence KPI needs to be clearly defined and captured. Many available Workflow systems are good at defining stages in the Workflow, forms and collecting data. These products have come a long way and have entered Cloud Computing arena offering POS, location and on-the-go services. If we compare the BPM lifecycle to Workflow capabilities, its evident that Workflow systems can accommodate until Execute stage and also some part of Monitor Stage. 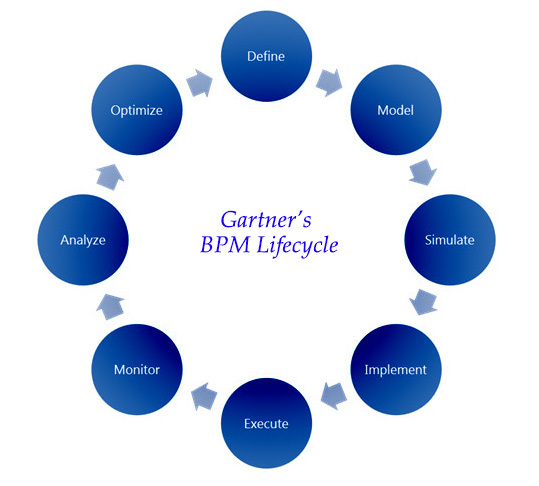 However the Analyse and Optimise stages of BPM life cycle may not be fully accounted using Workflow Solutions. Suggestions: Workflow solutions work best if you have, Limited budget, Lack of time and expertise and your BPM is not complex. On the other hand Customised Software solutions would really help if off the shelf workflow systems cannot cater to your demands of BPM, if you need flexible solution and a system that is tailor made to your Business environment. You may wish to Check out 5 reasons why you shouldn't choose a large consulting firm for IT services and Buy, Build or Outsource? Custom software dilemma posts.If you have any questions regarding outsourcing your software please don't hesitate to contact us. Thanks for stopping by and have a fantastic day!